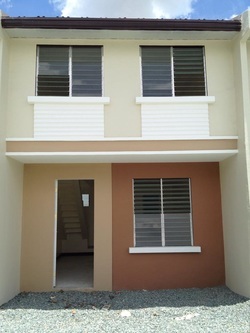 Looking for a ready house unit that you can move in 1-3 months? Yes, you can move in 1 to 3 months if with complete documents and fully paid DP. Minimum lot area of 50 sqm with spacious front for carport. Bigger lot areas are available. Welcome to Bella Vista Deca Homes! A community that offers you a haven of a community complete with the amenities of a good life. Start to live your life to the fullest. Come home to the colorful world of Bella Vista. 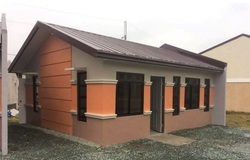 Deca Homes offers townhouse and single house units. Choose payment option (cash or housing loan through in-house or Pag-Ibig housing loan). Actual computation will be provided based on the payment option and term chosen. ﻿This is a bare type one-storey single attached house unit. NOTE: Deduct Php 1,370.65 to Month 1 to Month 3 amortization if paid on or before due date.